I was gifted a voucher at Softouch Spa in Kempinski Mall of the Emirates by my company after organizing a successful conference. And it didn’t take long until I find the time to use it. My body was aching all over because of stress, long driving, carrying my luggage bag, and lack of sleep. And the voucher just came on a perfect time. 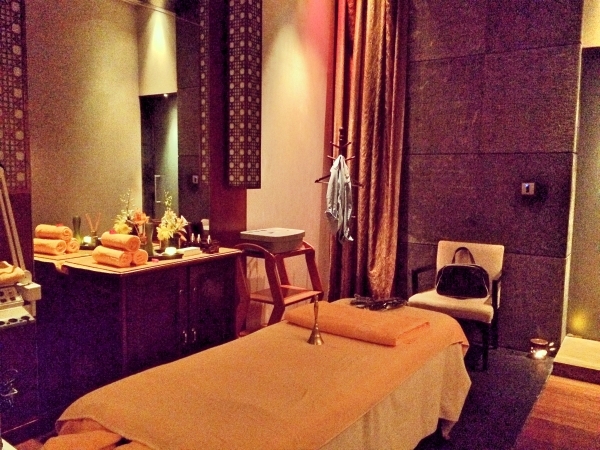 With several options to choose from, it took me sometime to select my preferred body treatment. You can see their menu here. I finally settled with the 90-minute Hot Stone Massage. I never tried this treatment and of course I have to google what to expect. I was told to arrive 15 minutes earlier than my 12 noon appointment and I intend to but we had to drop Cole to his cathecism class and then breakfast at Chowking followed by grocery errands and before I knew it, it’s already 11:45. Good thing it was a Friday and Sheikh Zayed road was traffic-free and I made it just on time. I was immediately seated in the waiting area and offered water and green tea while they are preparing the room. I was also given a cold hand towel. After a few minutes, I was ushered to the massage room. The room is spacious and I already felt relaxed just being inside. My masseur, Hazel, provided a slipper, disposable undies and showed me where I can put my jewelries. She also asked what kind of oil I prefer. A choice of lavender, jasmine or ginger was available. Without second thought, I selected lavender. Laid on the bed, Hazel asked if the temperature, light and sound was fine. I thought it was nice since I never knew I have a say. Some spas never asked me those questions. Anyways, to begin with, Softtouch’s room temp and background music is fine. Same with the lightning. Hazel asked how I want the pressure – light, moderate or hard. I chose the middle one. 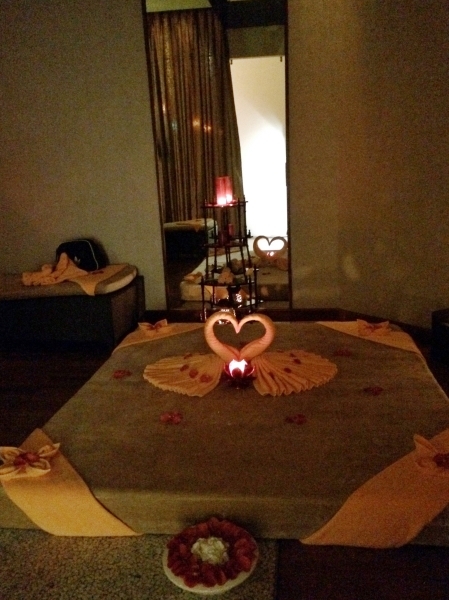 The session started with a Swedish massage. I thought we would have hot stone immediately. Not that I am complaining. I can have a Swedish massage anytime. After around 45 minutes, Hazel placed her warm hands on my back. She did that so my skin won’t get shocked having the hot stone placed at my back, not that it’s scalding hot. She placed the stones on different parts of my body. Back, legs and arms. How I wish I look like this – flowers and all! When it was time to do my head, my masseur stepped out for a while and I assumed she washed her hands. I was correct. When she came back, her hands were oil-free and I silently thank her. I have a birthday party to attend to next and won’t have time to take another shower to remove the grease off my hair. After 90 minutes of glorious treatment, it was over! I could have a 5-hour session and I won’t complain. I don’t care if my bones turn into jelly. Haha! I dressed up and they lead me to the relaxation room. I think this is where you can stay and sleep if you want. It has several lounge chairs and again they will serve green tea and water. Good thing I stayed in the relaxation room longer. Why? Because I forgot to take my accessories out from the jewelry box in the massage room. Who forget their jewelries, right? I think it’s my brain that turned into jelly after the relaxing massage. I’m glad that the staff are honest enough to return them to me. Another reason to comeback! So what do I think of the hot stone massage? I was expecting the stone will be used to massage me but instead was just glided over my body. The Swedish massage was much better and I think that the stones didn’t do anything special. Ok, maybe it helped to relax my muscles hence I dozed off for a while. If that’s the purpose, then it was achieved. Don’t get me wrong. The spa, the masseur and the service are all excellent. It’s my wrong choice of treatment (or my expectation). Maybe next time I will try the body wrap and body scrubs. 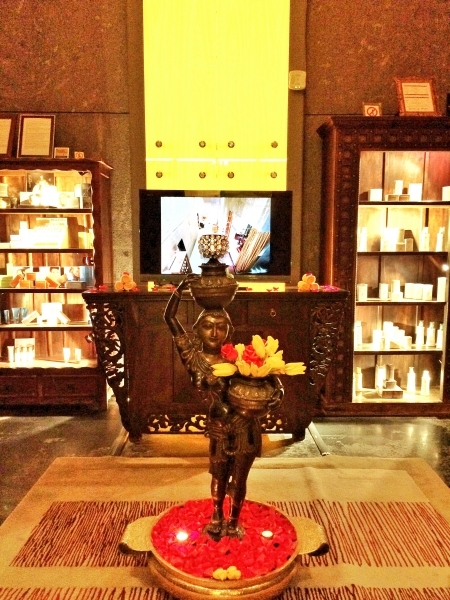 Or why not one of their signature treatments with has a touch of ayurvedic. That sounds lovely. Softouch Spa is open 24 hours a day but I suggest booking an appointment. 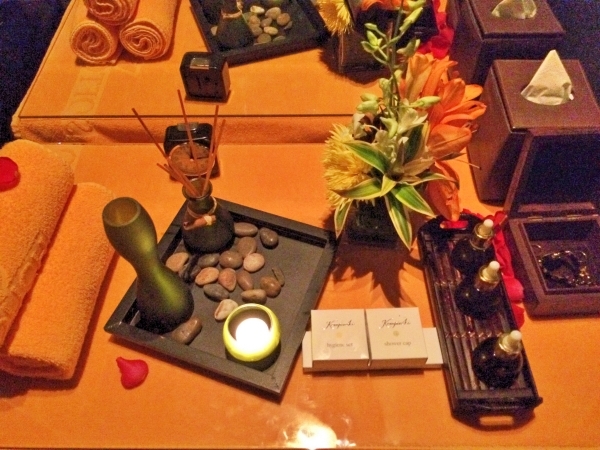 This entry was posted in Products and tagged Dubai, Dubai blogger, filipina expat, filipino expat, Kempinski Mall of the Emirates, Pinoy Blogger, Pinoy in Dubai, Softouch Spa. That spa looks really great! I’m traveling to different places soon and this would be a great place to relax when I go to the Emirates.